Opening night in drawing closer. This is the point of the process that the cast and production team both love and dread at the same time. Not only do our wonderful cast have to remember their dance moves, lines and songs, but they also have to negotiate with scenery, props and eventually the rest of the theatrical arts that get added in before you, the audience, take your seats. But who are these people who give up their own time for a hobby that produces results that could rival some West End productions? Herman will be played by one of our newest members, Daniel Wilson. Although this is Dan’s first year with Galashiels, he has plenty stage experience. Previous shows include Frankenstein with Borders Youth Theatre; and Buddy, Hairspray, High School Musical and Sound of Music at Earlston High School. Herman is the bossy club owner who, although he doesn’t like to show it, loves the girls as if they were family. In Dan’s own words, ‘Herman is a grouch’ and says that's why it suits him down to the ground. 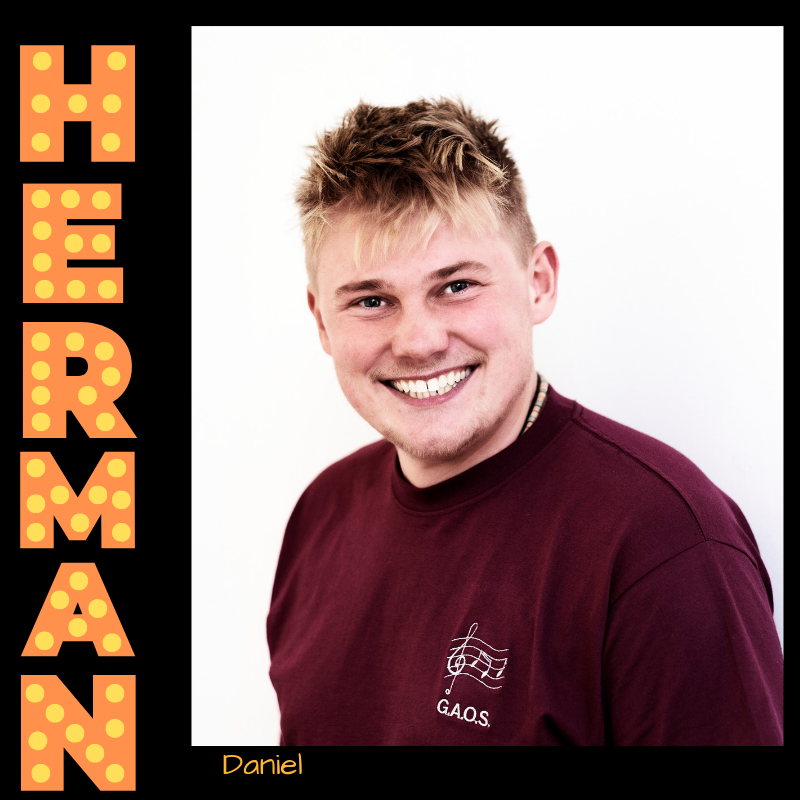 Over the past few months, we have seen Herman grow in a character that will make you wince when he appears on stage. Catch ‘grouchy’ Herman on stage from TOMORROW!!! Seriously – if you don’t have a ticket then what are you thinking!! 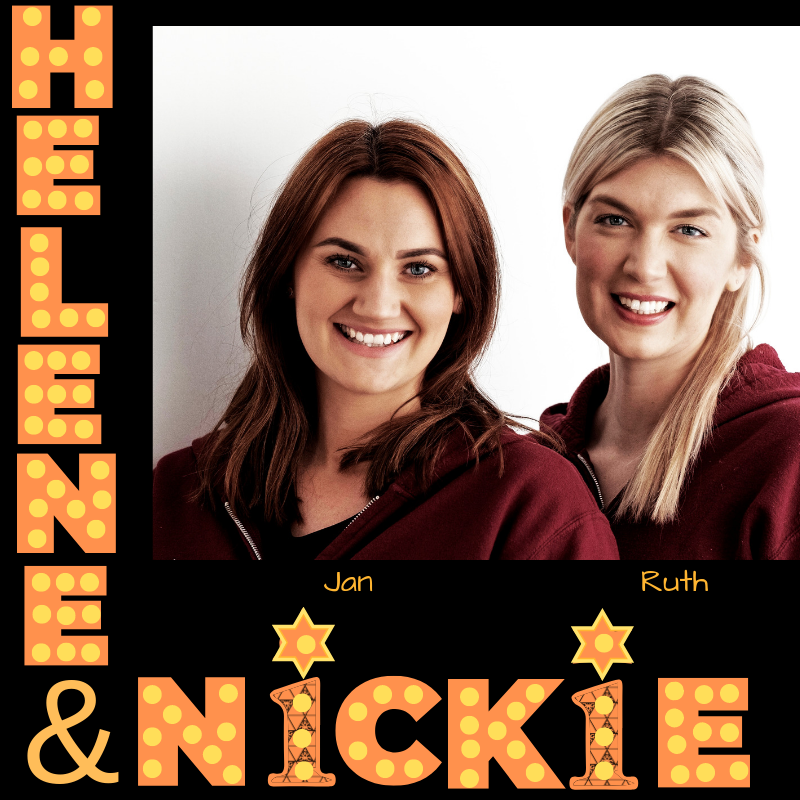 Charity’s best friends and fellow Dancehall hostesses, Nickie and Helene will be played by Ruth Davidson and Jan Baird, respectively. Unfortunately, the only thing that is respectable about the characters they are playing is their advice and support they provde to help Charity and the other girls from making the same mistakes they did. Deep down inside, they both know that they are not going to make it out of Herman’s sleazy joint. But that doesn’t stop them from helping the others. Ruth Davidson is no stranger to the Gala stage, with an impressive twelve shows under her theatre belt. Previous roles for Ruth have included the iconic role of Evita and Thelma VonTussel in Hairspray, to name just a couple. Ruth’s first and favourite show was 42nd Street when she was only 14! It didn’t take Ruth long to move her way into principal roles and she is now a ‘well kent' and loved face with our audiences. After a year off, Ruth returns this year to take on a role that demands dancing, singing and comedy acting. Ruth is up for the challenge and is enjoying bringing it all together. Jan too joined Gala as a fresh faced 14 year old dancer and has developed into a strong principal in the society. Jan is celebrating her tenth show this year. Jan has impeccable comic timing and it doesn’t take her long before she has the audience on her side and laughing with her. Jan’s previous roles have included the very funny Penny in Hairspray, featured dancing roles in Half a Sixpence and Evita and last year, leading lady, Barbara in Summer Holiday. Jan is a great asset to the society and a joy to watch. This is not the first time Ruth and Jan have played a dynamic duo, only a couple of years ago they were cast alongside each other as Yvonne and Liz, in Sunshine on Leith. This comedy duo can be seen from the 4th March. Tickets are still available –don’t delay –call Audrey today. Oscar Lindquist will be played by Clark Eaton Turner. This is Clark’s tenth show and he has become a very experienced leading man over this time. 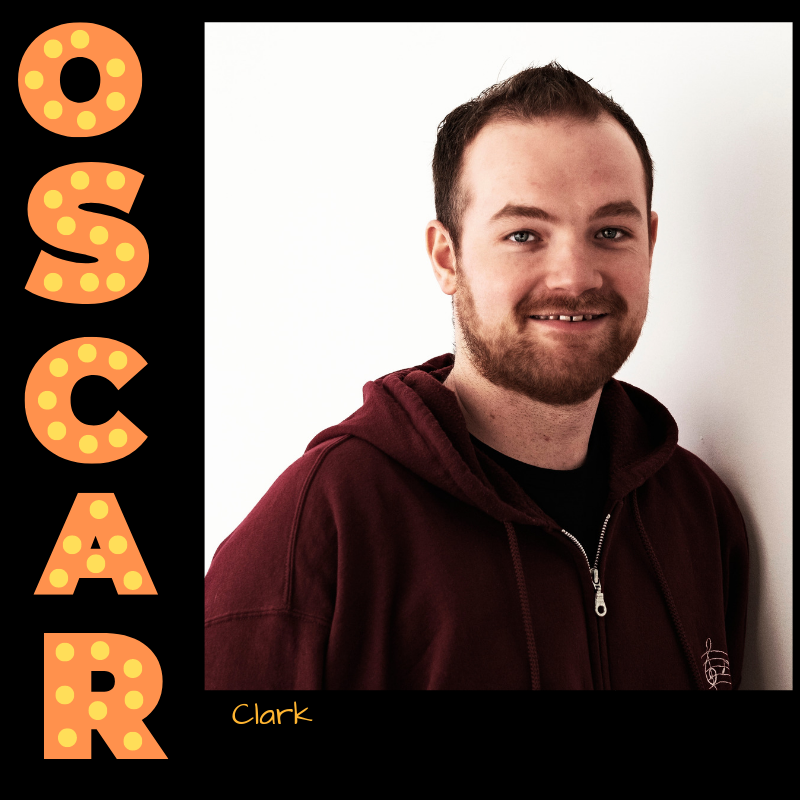 Oscar is an awkwardly loveable character whose mannerisms and extreme thinking help to pull Charity into his life. Unlike Charity, Oscar is inexperienced when it comes to love and tries his best to take Charity at face value, disregarding her vocation. Oscar and Charity make an odd couple but we know our audiences will be wishing them all the luck in the world to stay together. This isn’t the first time Clark and Carla have played opposite each other, in one of Clark’s favourite shows, Half a Sixpence, Clark led the company as Artie while Carla played his love interest Ann. The chemistry between them is set to be just as strong this time round, if not stronger. Clark is enjoying the challenges of rehearsing Oscar. This is a comedy role that will take Clark out of this comfort zone and show a more developed comic side to him. We’re sure you will join us in wishing him all the best as he takes on this role. See Oscar on stage from next Monday! 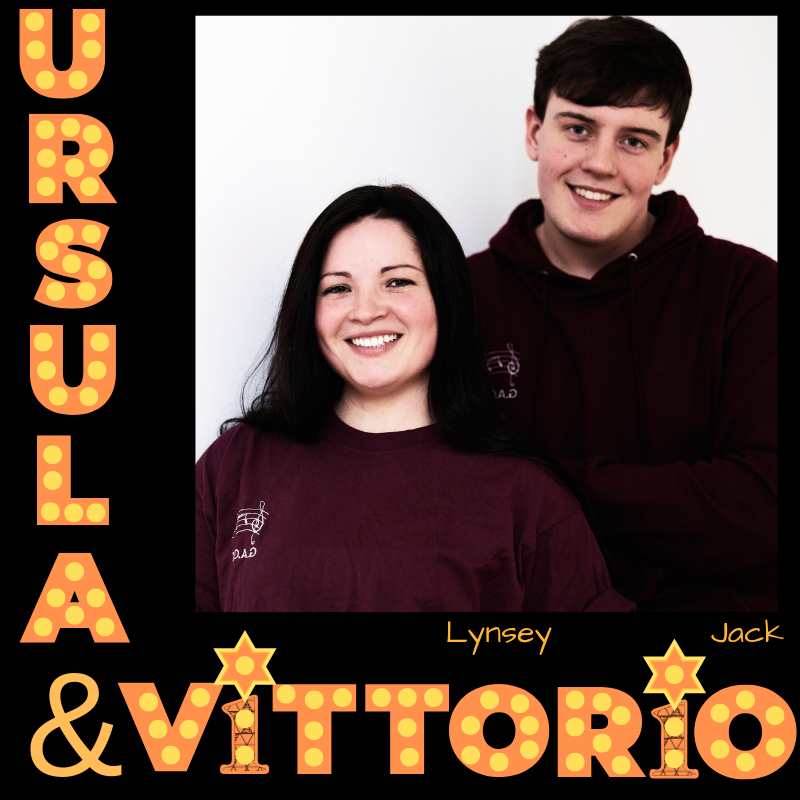 Vittorio will be played by Jack McAulay and Ursula March will be played by Lynsey Cullen. Vittorio Vidal is an Italian movie star who catches Charity’s eye early on in her story. Alongside hot headed girlfriend Ursula March, the couple add European passion to an already light-hearted and entertaining show. This will be Jack’s second show with Galashiels and it follows on from the success he had in the principal role of Steve in Summer Holiday, last year. Jack describes Vittorio as a classic Italian heartthrob and with that it beings its own challenges, especially when singing like Pavarotti. Ursula’s love hate relationship with Vittorio is highly explosive and Lynsey is delighted to take on this role. This will be Lynsey’s fifteenth show and second year as the Society President. Lynsey has always loved being on the stage and her favourite previous show was 42nd Street in the early 2000s, where she played the role of Ethel, one of the principal dancers. Although Lynsey is no longer a dancer in the society, she continues to enjoy taking on a variety of cameo roles and being involved in the chorus. Vittorio and Ursula will be entertaining audiences between 4th – 9th March. One of the biggest musical numbers in Sweet Charity is the iconic ‘Rhythm of Life’. This number will be in the capable hands of William Pearson. 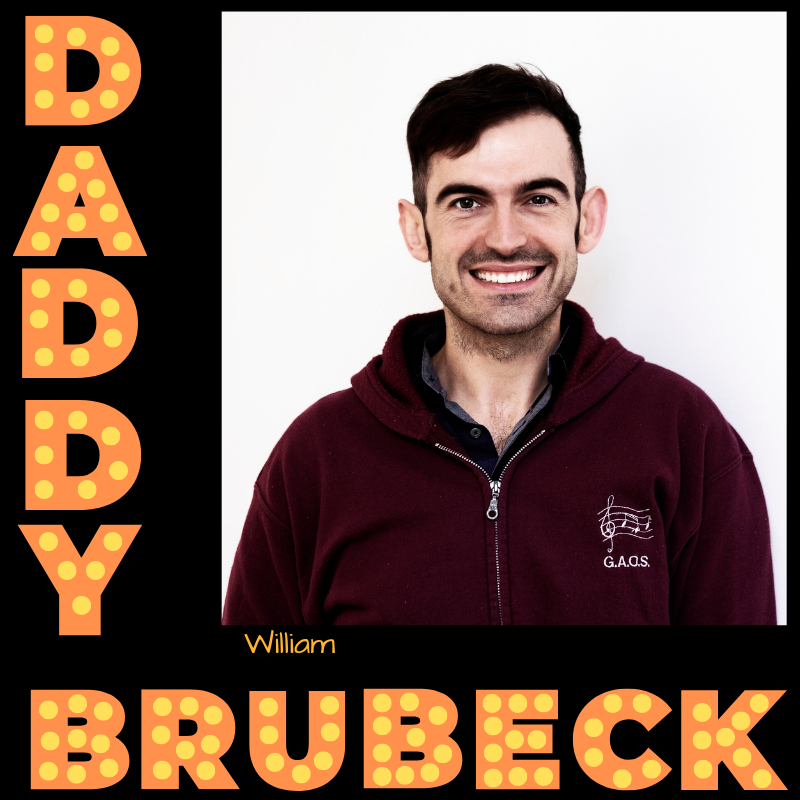 Daddy Brubeck was famously played by Sammy Davies Jnr in the 1968 version of Sweet Charity and will lead the company in this huge musical number. To say William loves the role would be an understatement - William, now in his eighth production with Gala Opera, says the role of Daddy is very different from other roles he has played in the past. William’s past principal parts have included Seaweed in Hairspray and Edwin in Summer Holiday, to name just a few. William has admitted that singing and dancing at the same time is what he finds most challenging about this role. Check out Daddy’s hippy happiness on stage from the 4th March. Tickets are available now. Charity Hope Valentine, as her name suggests is not living her best life. Being unlucky in love leads her to being unlucky in life, or is it the other way round? One thing that keeps Charity going in the big bad cynical world that she lives in is her eternal belief that some day she will find Mr Right, not just Mr Right now. With New York City as Charity’s backdrop, she takes us on a journey of her life punctuated by ear worm songs and fabulous dancing. Driving this Sweet Charity cab will be Carla McColgan. Carla is no stranger to the stage in the Volunteer Hall, as this show will be Carla’s ninth. After taking a year out, to focus on her growing design business, Carla has returned with the commitment and drive that this role demands. When asked what elements of the role Carla enjoys, she highlighted the exciting songs and dance routines she will be performing. ‘If they could see me know’ is one of her favourites in the rehearsal studio. She spoke to us briefly about the challenges around learning so many lines; we let her return to her script swiftly at that point. 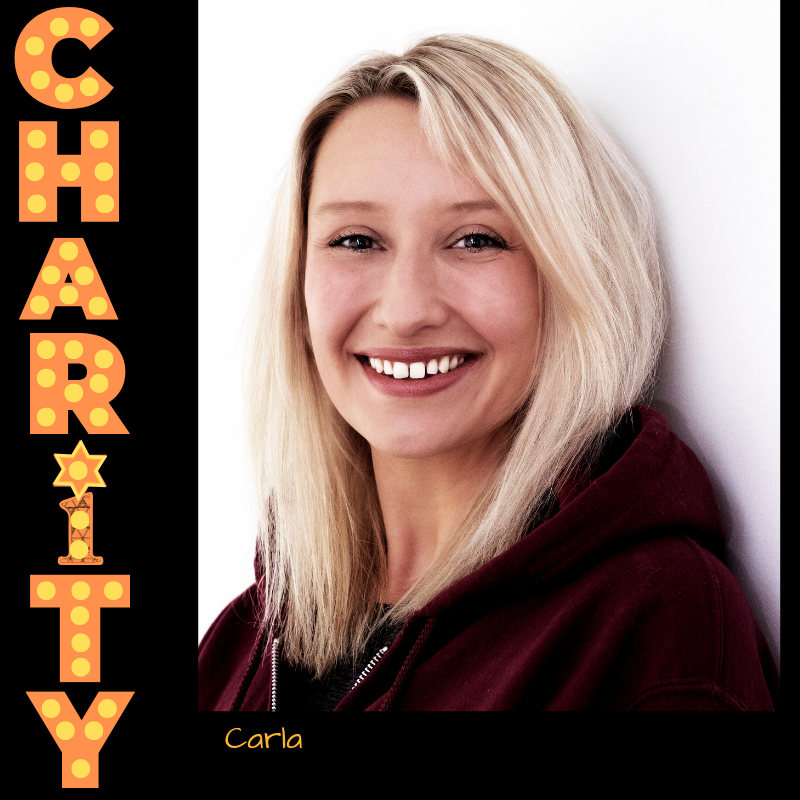 Carla’s favourite three shows with Gala have been; Guys and Dolls, where Carla excelled in the role of Adelaide; Seven Brides for Seven Brothers, Carla took on the role of one of the Seven Brides; and Half a Sixpence, where she played the lovable Ann. Carla oozes the lovability factor and the role of Charity will be no different. If you don’t know the story of Sweet Charity, who cares, Carla will be making it her own from Monday 4th March and we know you won’t be living your best life if you miss her. Carmen will be played by Rebecca Frankland. Carmen is a sassy and fun dance hall hostess who works alongside Charity. Like the other girls, she hopes for her big break. Rebecca is no stranger when playing fun-loving characters, particularly after her principle role as Mimsie in Summer Holiday last year. Sweet Charity will be Rebecca’s fifth show with Gala Opera, where she has been cast in a mix of dancing, singing and principal roles. Rebecca’s first and favourite show with Gala Opera was Hairspray. Just like Sweet Charity, it was full of high energy dances and stylised wigs! Rosie will be played by the young Catriona Moore. Rosie is the new optimistic dance hall hostess who joins the other girls later in the show. Rosie is just figuring out her new way of life and takes as much advice from the more experienced girls as she can get. 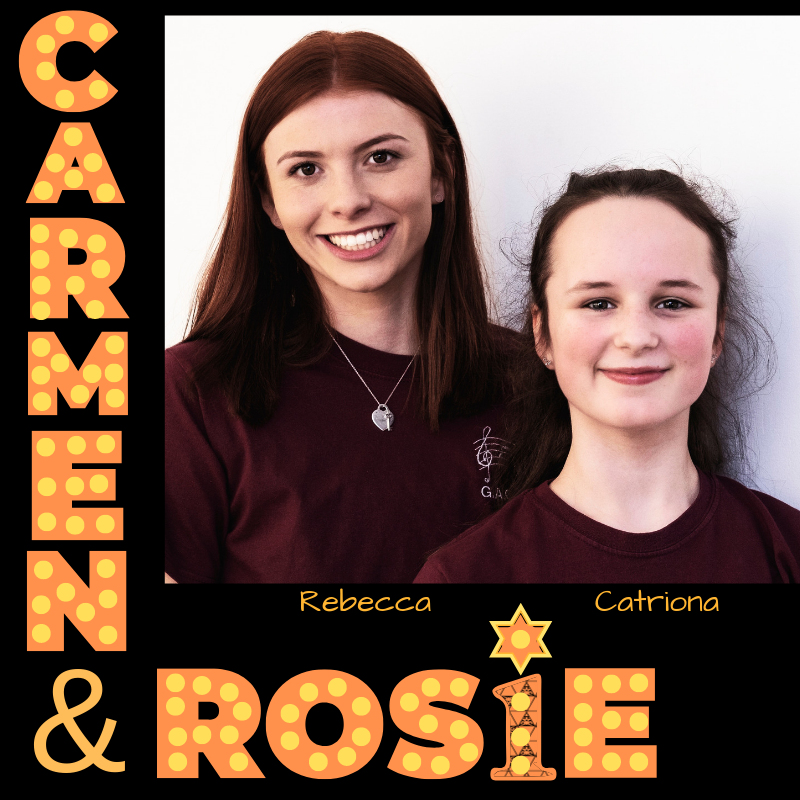 Like Rosie, Catriona is new to the adult company this year, although she has been in the child company in recent shows including Sunshine on Leith and Evita. Don’t miss your chance to see Rebecca and Catriona on stage from the 4th March. From as little as £5, you can become a patron of GAOS.